• Line-up of the wildcard round "Club concert" is announced in Germany. • Line-up of regional juries for Dansk Melodi Grand Prix named. • Daniel Kajmakoski - first participant to start his promotional tour. 20.00 - 21.50 CET, Israel: The Next Star, 16th show, Keshet, online. Nava Tehila Valker is eliminated. You can watch the program again here. 20.20 - 23.00 CET, Latvia: Supernova, 1st quaterfinal, LTV 1, online. Antra Stafecka and Framest are jury choices, ElektroFolk and MNTHA are choices of televoters. Watch the show again here. 20.30 - 22.30 CET, Cyprus: "Eurovision Song Project", Final, RIK 1, RIK Sat, online, Eurovision.tv. John Karayiannis with "One Thing I Should Have Done" will represent Cyprus. Show is available to rewatch here or on Eurovision.tv. Rock duet Marta Jandová & Václav Noid Bárta will represent Czech Republic with "Hope Never Dies". Read more on Czech Rep. page. 19.40 - 21.40 CET, Finland: "UMK", Preview, YLE2, online. Shava topped preview jury ranking over Pertti Kurikan Nimipäivät and Satin Circus. Watch the show on demand here. 20.00 - 21.40 CET, Lithuania: Nacionalinė atranka, Show 5, LRT, LRT Lituanica, online. Liepa Mondeikaitė and Neringa Šiaudikytė are relegated. Watch the show again here. 20.10 - 22.10 CET, Switzerland: "Entscheidungsshow", final, SRF 1, RTS 2, RSI La 2, online1, online2. Winner of the national final is Mélanie René with "Time to Shine". Watch the show again here or here. 20.25 - 22.30 CET, Hungary: "A Dal", 2nd heat, M1, Duna World, online. Ádám Szabó, Gergő Oláh, Ív, Pankastic!, Gyula Éliás Jr. feat. Fourtissimo progressed to the next round on the 1st voting. New Level Empire join them on 2nd voting. Watch the show on demand here. 20.45 - 22.25 CET, Iceland: "Söngvakeppnin", Semifinal 1, RÚV, online. Friðrik Dór, Björn og félagar, Elín Sif Halldórsdóttir qualified to the final. Watch the show again here. 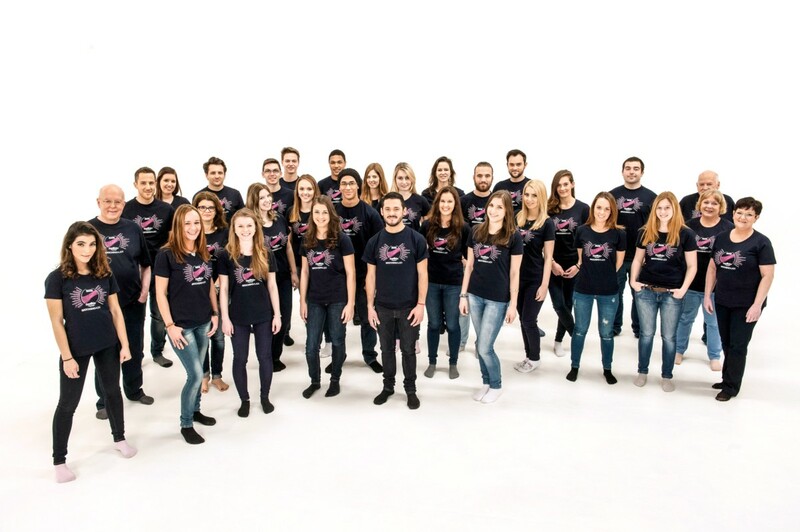 Eurovision 2015 volunteers will create own choir to compete in "Die große Chance der Chöre" (Austrian version of "Battle of the Choirs") show broadcasted on ORF eins. The show will be broadcasted from April 17 and will be hosted by long time Eurovision commentator and recently host of the Insignia ceremony and Allocation draw Andi Knoll. "I'm a big Eurovision fan. Also, I take singing lessons with Monika Ballwein. And since that the idea came to me that it would be nice to make with my fellow volunteers a choir. I was still surprised by the amount of singing talents and great personalities we have discovered. Actually, we have sought initially only for twelve people - it's now become 41. 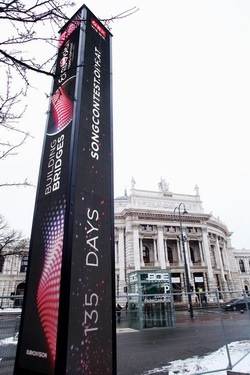 We come from all over Europe for the ESC in Vienna. We are all so motivated and I'm really looking forward. We have already rehearsed briefly and it was amazing how much energy is there already"
ORF gives out the last call for those who still want to apply for the positions of volunteers in the show. Read more about it on our event page. In tomorrow's edition of the ESC diary "Vienna Calling" aired as part of "Wien heute" program several volunteers will tell why they want to be part of the Eurovision Song Contest. 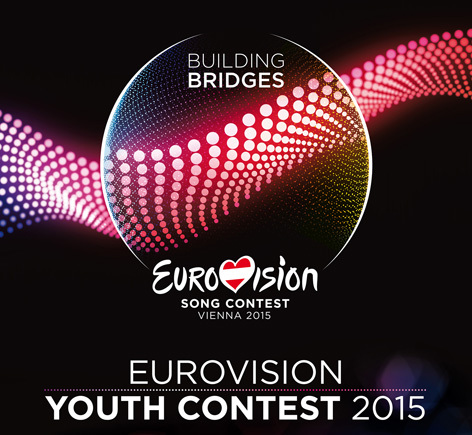 Post by Eurovision Song Contest - Building Bridges. • Quaterfinals of Latvian "Supernova", voting explained with online foreign voting possible. • Nina Sublatti appears as guest of "Our Morning" program, watch interview here (in Georgian). • Shootings of music video for Spanish entry "Amanecer" completed. • Scheme of the Portuguese national preselection "Festival da Canção" revealed. Artists from 39 countries will meet in Vienna in May 2015. 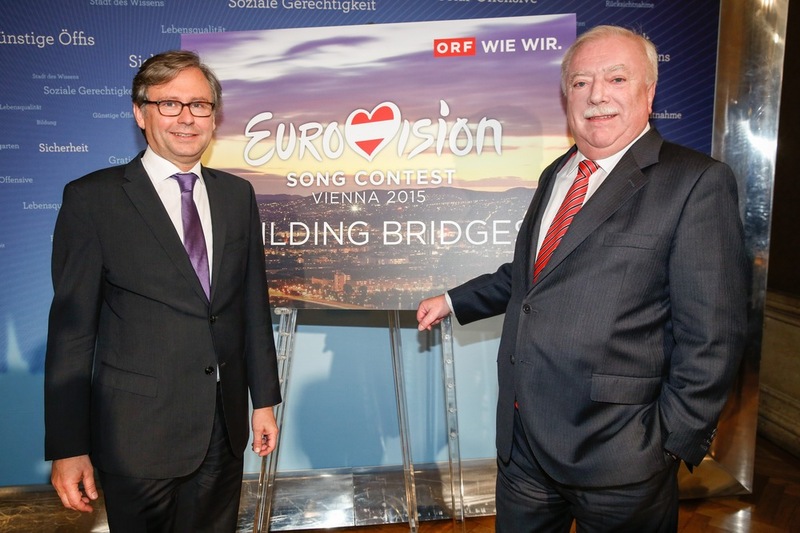 Working according to this year's contest theme "Building Bridges" ORF has last week invited representatives of diplomatic missions of the participating countries to the Palais Daun-Kinsky in Vienna for an embassy breakfast to present them "Eurovision Song Contest". The breakfast was attended by numerous high-profile diplomatic guests from more than 30 countries, among them Ambassadors of Germany Detlev Rünger, Estonia Eve Külli Kala, Latvia Edgars Skuja, Lithuania Loreta Zakareviciene, San Marino Elena Molaroni and Cyprus Mario Ieronymides. ORF-executive producer Edgar Boehm presented the current state of preparations, while a team led by Wolfgang Peterlik ("pi-five"), Martin Bresovich ("eventplan") and Emanuel Grasl., the organization partners of the ORF for the "Eurovision Village" presented "Hello Vienna - Welcome Europe" - an exhibition in which the ESC nations can showcase themselves. Martin Brezovich says: "We look forward to the opportunity to offer the Eurovision nations to be with us at the Town Hall Square with and closer to the cultural diversity of our guests from Austria and around the world in the "Eurovision Village". A team of "Wien heute" program was attending the breakfast and will be reporting on it today at 19.00 clock (watch on demand here). More and more sources point out that 60th anniversary show will be produced by British broadcaster BBC. First information on that has emerged back in October, when Belgian news website tuner.be reported that the EBU has designated BBC the task to organize Anniversary special at the Royal Albert Hall in London with a live audience. Belgian site also reported that the show will be hosted by BBC's TV host Graham Norton and the 2013 Swedish Eurovision host Petra Mede, while such former winners as Conchita Wurst (Austria 2014), Lordi (Finland 2006) and Loreen (Sweden 2012) are expected to attend. 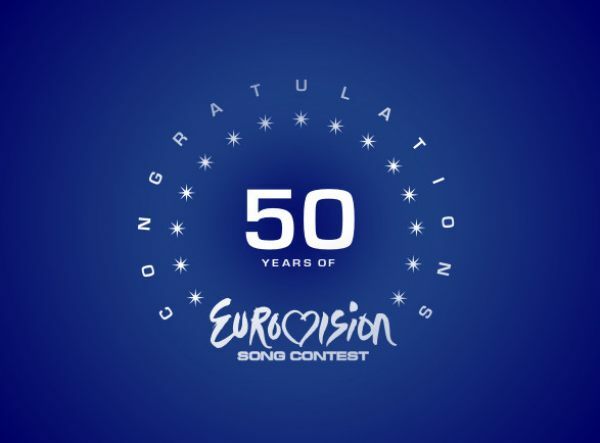 However, EBU delayed the official announcement and at that time stated: "There are various exciting proposals from Member Broadcasters on the table to celebrate the 60th anniversary beyond the contest in May, which are currently in the final stages of being evaluated. A decision is expected shortly". "Anniversary of the Eurovision Song Contest is covered by a BBC show, they are looking back in the history, and we think we need to look forward"
However, speaking at the very same time, EBU executive supervisor Jon Ola Sand has been more restrained in his comment: "This is not yet decided, we're still working on something that might be a concert from London", he said. BBC representatives also were quick to deny any confirmation: "We don't have anything confirmed at present and any announcements will be made in due course. ", said their statement. Last January NDR's Thomas Schreiber speaking at OGAE Germany convention, has mentioned that if anniversary show actually happens it will be held in Berlin. There were no further announcements from German side. In 2005 EBU commemorated the 50th anniversary of the Eurovision Song Contest with a show called “Congratulations”, which took place in Copenhagen. A total of 34 countries broadcasted the show, while UK was one of the countries declining to do so. BBC went on to present in 2006 own "Boom Bang A Bang - 50 Years of Eurovision" presented by Terry Wogan. 10.00 CET, Moldova, draw of the running order of semifinals, online. • Stage designs and sketches for Melodifestivalen, DMGP, San Remo, Die Große Entscheidungsshow, Eesti Laul, Eurovision Song Project presented. Official airlines of Eurovision Song Contest 2015 Austrian Airlines offers special discount. First 300 bookings made between 29 and 31 January 2015 for the flights between 12 and 30 May 2015 can receive 30€ discount if using coupon code 30ESC2015. 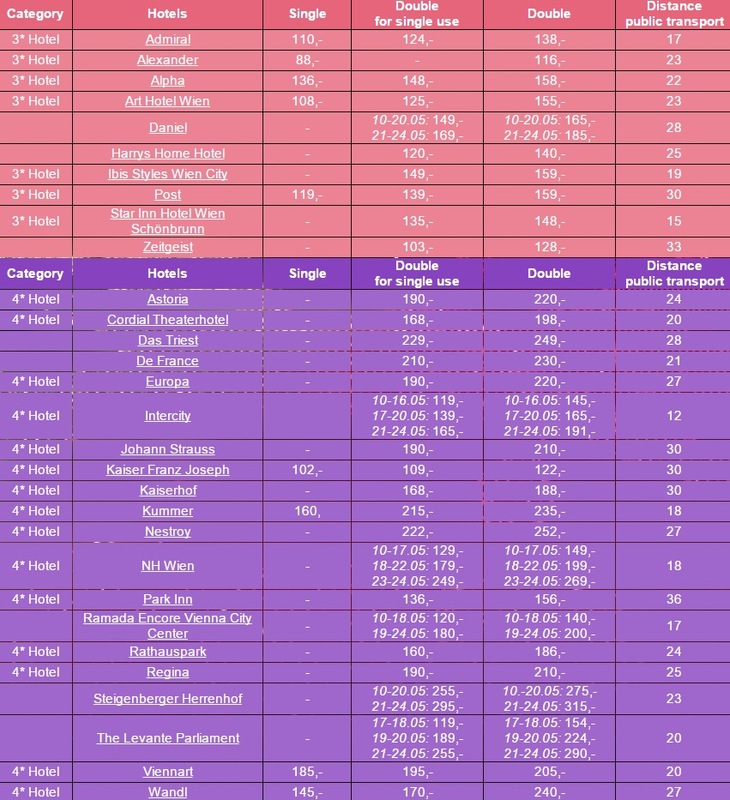 Discount applies per booking and not per person and is valid for all flights to and from Vienna provided that deparure and arrival airports are the same. To book tickets click here. • Swedish team including composer Thomas G:son (arrangement) and Sacha Jean Baptiste (stage direction, earlier worked with Alexey Vorobyov) will work on Eurovision preparation of Georgian entrant Nina Sublatti. • Stage design of "Supernova" project presented in Latvia. • Craiova confirmed as host city of Romanian national selection final on 8 March. 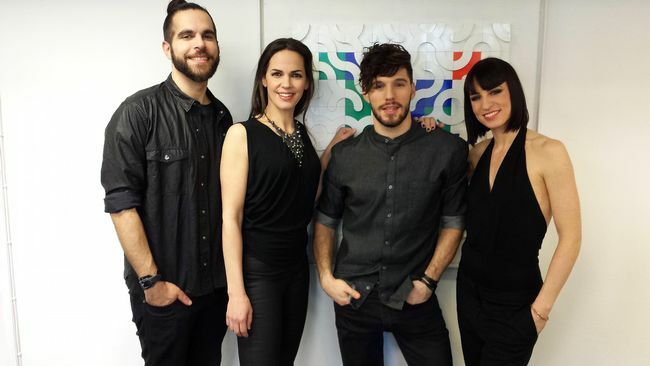 21.00 CET, Israel: The Next Star, 15th show, Eurovision special, Keshet. Yefi & Osher have been relegated. Watch the show here. • Read the latest about preparations of Uzari and Maimuna from Belarus. • 3rd voting for 9 remaining competing entries in Lithuania has started. 5th show has been recorded today, featuring unexpected duet of Mia and Edgaras. • Head of delegation of Italy Nicola Caligiore and former Head of delegation of France Bruno Berberes will be appearing as guest jurors at Cypriot final this weekend. • You can now listen to couple final chords of Spanish entry "Amanecer". Shootings of the music video will start tomorrow. More tickets for the Semi-Finals of Eurovision 2015 will go on sale on 29 January at 9.00 CET, including dress-rehearsals for them. As previously, tickets will be on sale at oeticket.com. Information on the third wave of ticket sales will be available in February. Read more about ticket sales for ESC 2015 on our event page. Representing Copenhagen, Sophie Hæstorp Andersen, Chairman of the Regional Council from the Capital Region and Lars Weiss, Chairman of the Social Democratic Group, has presented the Host City Insignia to Lord Mayor of Vienna, Michael Häupl. During the ceremony, there were also short speeches from Executive Supervisor Jon Ola Sand, EBU, and ORF General-Director Alexander Wrabetz. Also present were Deputy Mayors of Vienna Maria Vassilakou and Renate Brauner, City Councillors Christian Oxonitsch, Sandra Frauenberger and Andreas Mailath-Pokorny and members of the Vienna city government, and from ORF part television director Kathrin Zechner and ESC Executive Producer Edgar Boehm. 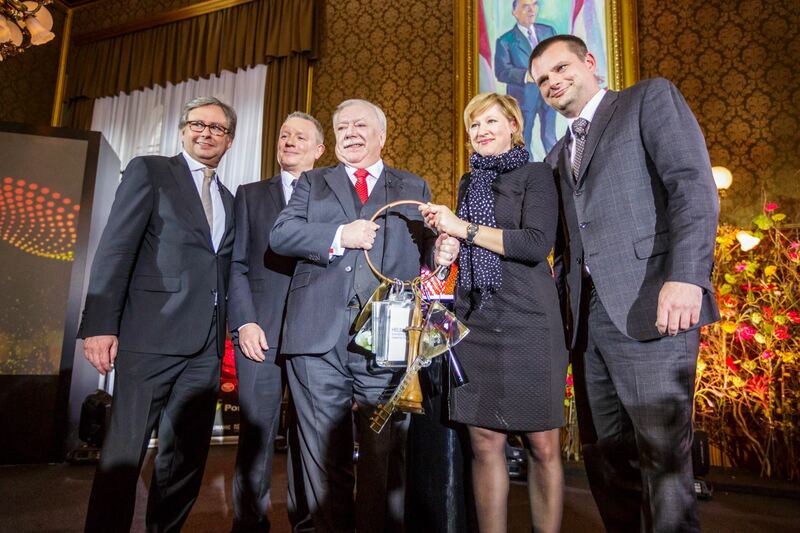 Vienna's Mayor Dr. Michael Häupl: "With this insignia handover we officially kick off the ESC 2015 in Vienna. We proudly look forward to this unique event in the Austrian capital, which has a lot of experience in planning and realization of the international events, like the European Football Championship. I am confident that we will make ESC another major event in Vienna, dominating the Europe and making Austrians proud". ORF General Director Dr. Alexander Wrabetz: "373 days - so much time was left for us after the victory of Conchita Wurst in Copenhagen before the start of own Eurovision Song Contest 2015. 6252 hours have passed since then, we have passed through several major milestones, such as the host city decision, introduction of "Building Bridges" slogan, logo, or the presentation of stage design, which we think, in comparison to previous years, went really well. And I am glad that we now stand exactly 163,200 minutes or 9,792,000 seconds till the first semifinal on May 19 being absolutely on schedule. 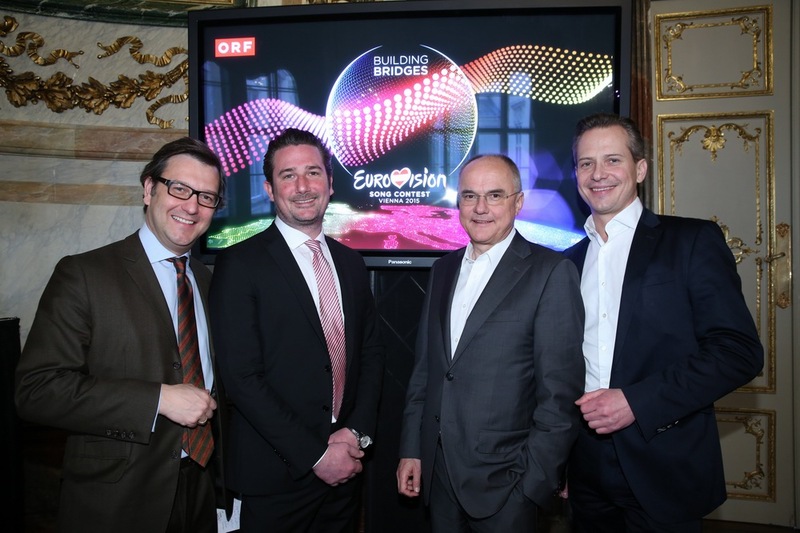 At the moment, more than 60 people that are part of ORF ESC team are preparing the largest television entertainment event in the world for 200 million viewers. It is an unforgettable experience". 12.40 CET, Eurovision Song Contest - Jetzt geht's los (Let's Get Started), ORF eins, online, including documentary "Conchita Wurst - Auf den Schwingen des Phoenix" (On the wings of Phoenix), Insignia Ceremony, and allocation draw live at 13.25 (also on eurovision.tv). Promo. There will be also live connection with draw ceremony during "Heute Mittag" on ORF zwei, and extensive report on the day at "Wien Heute" at 19.00. Watch on demand "Insignia ceremony" here and Allocation draw here or here (with German commentary). The Semi-Final Allocation Draw will decide which countries will take part in which Semi-Final of the 2015 Eurovision. 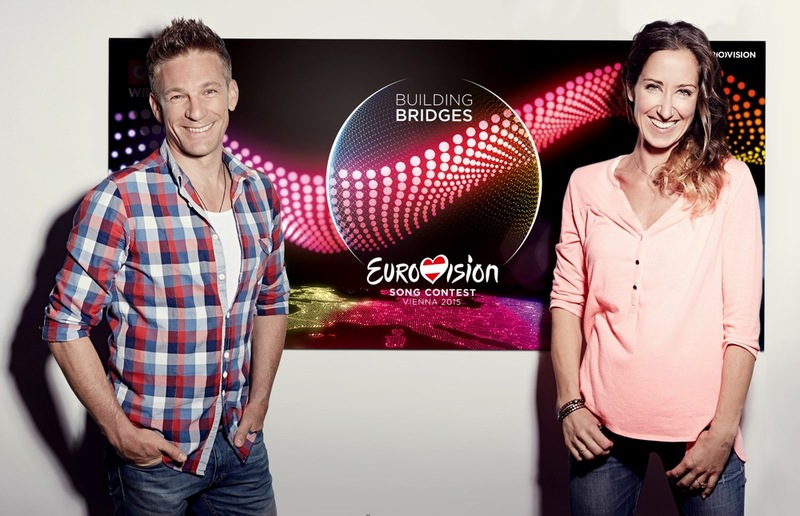 Draw will be hosted by Kati Bellowitsch and Andi Knoll and observed by the Executive Supervisor of the 2015 Eurovision Song Contest, Jon Ola Sand, and Thomas Niedermeyer from the voting partner Digame. The First Semi-Final will have 16 countries, and the Second Semi-Final 17 countries. For planning reasons, another draw will then decide in which half of the respective Semi-Final each country will participate. The 33 countries have been allocated by Digame to 5 pots based on voting patterns from the previous ten years. 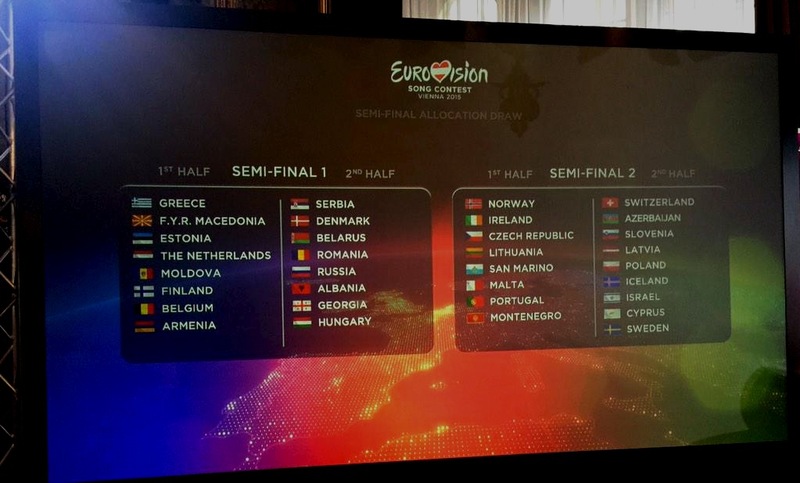 The first step of the Semi-Final Allocation Draw will be to determine which of the six pre-qualified countries will air live and vote in which Semi-Final. 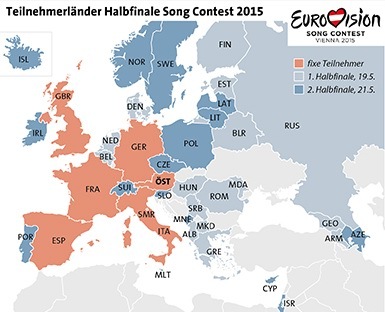 Due to the request of ARD, approved by the Reference Group, Germany has already been allocated to air live and vote in the Second Semi Final on 21 May 2015. • Dansk Melodi Grand Prix entries revealed officially alongside preview videos. • Two songs: "Es Tut Mir Nicht Leid" and "Factory hearts" have been relegated in Lithuania. • Voting for Semifinal 1 of Acoustic "A Dal" competition launched in Hungary. 20.20 CET, Latvia: Supernova, 2nd introduction show, LTV 1. 21.00 CET, Israel: The Next Star, 14th show, Keshet. Asif Zilberman and Lirose Balas have been relegated. 20.00 CET, Lithuania: Nacionalinė atranka, Show 4, LRT, LRT Lituanica, online. 20.25 CET, Hungary: "A Dal", 1st heat, M1, Duna World, online. Passed, Bogi Dallos, Vera Tóth, Karmapolis, Gabi Szűcs qualified based on first round votes. Timi Antal joined them after additional televoting. Videos from the show can be seen here. Live 23/01: 21.20 CET, Cyprus: "Eurovision Song Project", Eurochallenges 2, RIK 1, RIK Sat, online. Watch videos from today's show here. At 12:00 CET on 26 January European Broadcasting Union will be opening Eurovision Family Accreditation System (EFAS) for delegates, press and fans of the contest. Accreditation process will be open till the 17th of April 23:59 CET. Applications will be reviewed by the delegation you applied for, or by the EBU if you come from a non-participating country. Please, go to Eurovision.tv for more detailed information. Host broadcaster strongly recommend the use of public transportation to guests, crew and partners. All accreditation badges will be valid as tickets for all public transportations within the city of Vienna. On your arrival you will additionally have access to a mobile app that will facilitate finding your perfect route. Furthermore, special electro-buses will act as ESC-Shuttles and will be touring between the city centre, the Stadthalle (during opening hours) and the Eurovision Club in the evening. Hotels booking website additionally offers possibility to book airport transfers. Read more about public bus transport in Vienna on our event page. Host-broadcaster together with Wien Tourismus has also arranged several "free of charge" side-events. The opportunity to put together your own personal leisure program will become available from 15th of February. For more information check ORF website. 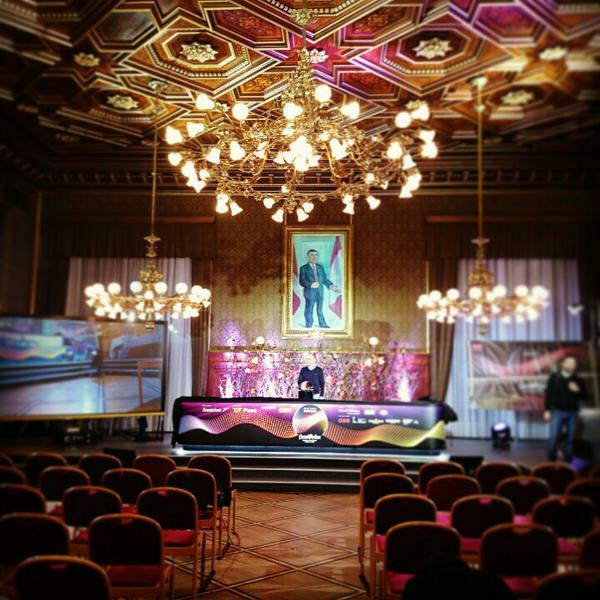 Insignia ceremony and allocation draw will be only the beginning of Eurovision 2015 season to ORF presenters Andi Knoll and Kati Bellowitsch. Experienced presenters have now been confirmed also to host official Opening Ceremony of the contest that will take place at the Town Hall on 17 May. It's highlights will be shown on ORF eins. This will mark busy Eurovision week for them. Andi Knoll will also present from the studio in the Wiener Stadthalle show "ESC live" to be aired every evening from 18 May at 20:15 on ORF eins while Bellowitsch will act as outdoor reporter for this 45 minutes special, taking viewers to such sites as Euroclub or Eurovillage. Bellowitsch also will host half, about 40 press-conference at Wiener Stadthalle, both of individual participating countries, as well as winner press-conference. On the day of final they will also assume their classic roles: Bellowitsch will be delivering Austrian votes of the contest, and Knoll will be commenting the show on ORF eins. Knoll, who commented the show since 1999 (with the exception of 2009 and 2010) will also work on semifinals of the competition. "Kati Bellowitsch and Andi Knoll will be in continuous use as ESC professionals. Our hosting team this year is made of strong men and women with diverse origins and abilities. 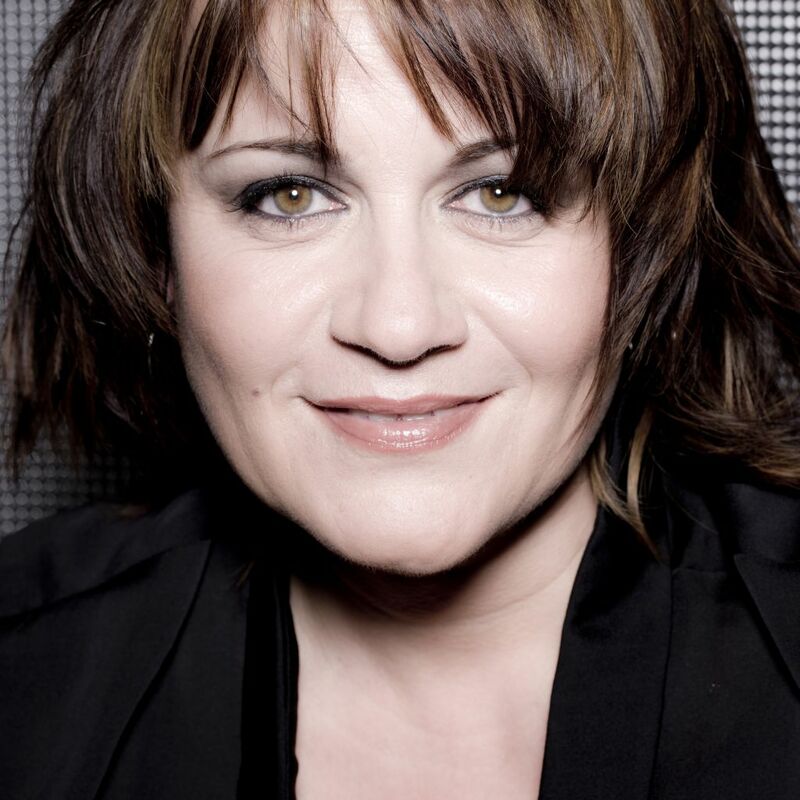 This is the image that we want to send from Austria to the world"
Lisa Angell has been announced as representative of France at the Eurovision Song Contest 2015 with the song "N'oubliez pas". The song was written by Robert Goldman, songwriter of French entry in Eurovision 2001 and brother of Jean Jacques Goldman. The song was first performed on a concert in la Madeleine in November during the commemoration period of the First World War, while the singer emphasizes that the song refers not only to this very special event in history but to any kind of conflict. Part of lyrics translates as "I remember the smiles of the kids, the voice of the men when they went out in the fields, the harvest celebrations, the scent in the houses, the love and laughter. But I am here, do not forget.". "This song is about a woman bruised and touched to the depths of her soul to see the destruction of her home village because of the war. And the second part shows a strong woman who promises to rebuild her village. I am very happy to sing this song to convey this message"
With her ​​powerful voice, she was able to convince producer Jean-Claude Camus who proposed the song to France 2. You can listen to the song here. Read more about French entrant Lisa Angell at France page. • Entries taking part in Icelandic preselection "Söngvakeppnin 2015" have been presented. • Romanian broadcaster TVR has published official rules of the national final "Selecţia Naţională Eurovision 2015". Submission period starts on Monday. Vienna Tourist Board will invest 14.8 million Euro in promotion of Austrian capital in connection with Eurovision in 20 countries - 11 European (German-speaking countries, Russia, Italy, Great Britain, France, Romania, Poland, Turkey, The Netherlands, Czech Republic and Hungary) and 9 overseas (US, Canada, Australia, Japan, China, South Korea, Arab countries in Asia, India and Brazil). According to director of tourism Norbert Kettner these countries have originated 80.4% of overnight stays in Vienna. Austrian Airlines will be a strategic partner in this campaign, active in 15 markets. The joint budget is 4.26 million Euro out of which 57% is contribution of airliner - the official carrier of Eurovision Song Contest 2015. One of the biggest projects of this campaign will be live performances of Eurovision 2014 winner Conchita Wurst in so called "ViennaSphere" - a giant ball of 22 meters in diameter, that will travel in March and April staying for 3 days at central squares of London, Barcelona, ​​Paris, Milan and Berlin. A special video show with 360 degree shots and spectacular 3D effects has been produced for the purpose of demonstration inside the ball. 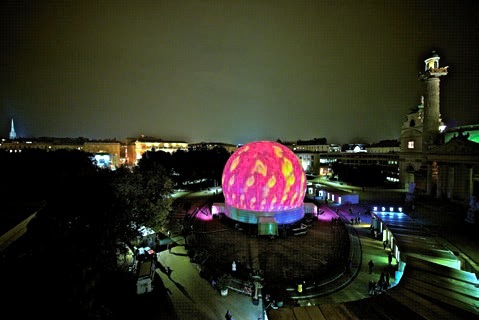 During the daytime, the giant ball will be the source of information about Vienna as well as an interactive presentation screen. A VIP event with live attendance of Conchita Wurst will be organized to journalists and representatives of the travel industry in the ViennaSphere the evening before the opening to the general public. The Vienna Tourist Board is also developing comprehensive marketing campaign for the promotion of the tourism among accredited journalists and delegates of the participating countries. Another total of 70 journalists from leading press of 20 countries as well as 40 decision makers in the travel industry will be additionally invited to visit Vienna, will receive backstage tours in Vienna's City hall, enjoy ESC culinary and cultural program and are also invited to the ESC final. The biggest "ad space" Vienna ever had: the roof of the Sydney Opera House. Sydney Symphony Orchestra will deliver performance of "Greatest Hits from Vienna", that will include projection on the famous sail-shaped roof of the opera house. Public viewing including acoustic concert broadcast and a VIP event for journalists and representatives of the travel industry will be organized. The event will be streamed live on 02 April at 10.50 CET. Following moderate success of "Eurovision School Contest" project in Malmö and Copenhagen (read about it here) Austrian broadcaster ORF has announced launch of "Eurovision Youth Contest" in Vienna. 8,000 young people will get unique opportunity to attend live afternoon show of 2nd Semifinal of Eurovision Song Contest. The project is organized by ORF regional studios in cooperation with transport company ÖBB and the provincial school boards. Classes and groups of pupils are encouraged to launch their creative projects, related to the Eurovision and it's motto "Building Bridges". There are no limits to the ideas: it may be text, image or music works in all subjects, as long as Eurovision remains central idea of it. The winners will be chosen by a jury or via online voting. Individual federal states rankings will be presented on the big song contest stage before the start of the afternoon show on May 20. The links to apply to take part in different regions of Austria can be found here. Competition is open to all young people aged 10 to 16 years who attend a compulsory school or AHS (up to 6th grade). The participating groups must be made of at least ten students. Each state has its own terms and conditions and specifications. Project ideas can be submitted online until March 15. Important: The application must be carried out by the competent project manager or teacher. The winning groups will be transported free of charge by the ÖBB to Vienna. Depending on the region, they will start travelling early on May 20 in the morning and will return back home in the evening. Young people can be accompanied by maximum of 4 adults or teachers, who will also be allowed to visit the show free of charge. By jury or online voting it will be decided by latest on April 15, which project groups were able to present the most exciting and original projects. Depending on the size of the federal state, 500-1500 youths will be selected and notified as soon as possible. After several changes in the format of Swedish Melodifestivalen, one more of them was announced recently. This year, entries qualifying to the "Second Chance" round can be rotated on the radio immediately after the end of the show. 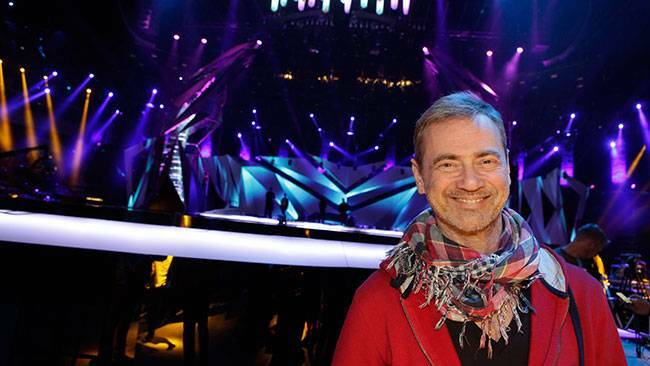 "We want to make "Second chance" at a better and more exciting program and create better conditions for the songs to become classics and live longer in viewers' memory", says show producer Christer Björkman. The entries that qualify directly to the finals will, as in previous years, rotated only after the 4th round and Christer believes that it creates exciting opportunities for the final. "The eight who are in the final are the viewers' absolute favorites, that they have already spoken about. Once they are released, everything is focused on them and so it has always been and will not be changed by this. The change means that we have more exposure to more entries. How it then affects the results of the final, we know nothing about yet but it creates exciting opportunities"
"Second chance" show this year has a new approach in which the entries that have come in third and fourth place in the semifinals will meet in four duels. The winners of each duel then will qualify to the final. That means there will be 12 entries in the final instead of 10 as it has been in recent years. The line-up of duels will be based on the previous model where entry finishing 3rd in it's semi will always face one finishing 4th in the other semi and the starting order will be determined by SVT when all participating entries in the show are known. You can read more about "Melodifestivalen" format on Sweden page. Host city Insignia Exchange ceremony and Semi-finals allocation draw will take place on January 26 at the Town Hall (Rathus) of Vienna. 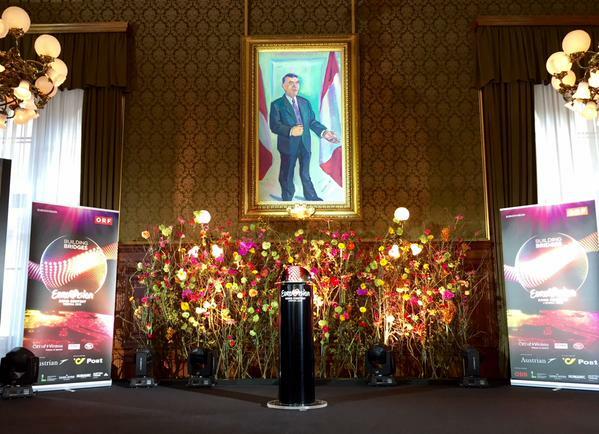 The first official event of Eurovision Song Contest 2015 is about to take place in Vienna. Delegation from ESC 2014 capital Copenhagen will be coming to Austria to hand over Vienna Mayor Michael Häupl the symbolic insignia of the "Eurovision Song Contest" and officially make Vienna the new host city. Former hosts are still debating the cost of the event that took place last year, which recently resulted in Lars Bernhard Jørgensen, director of turist organisation Wonderful Copenhagen leaving his job. Copenhagen Mayor Frank Jensen called the entire process surrounding Eurovision organization "regrettable" and will probably be happy to get rid of the last host city duty. The exchange of the Insignia - a chain with the symbolic keys of host cities of recent years, starting from Helsinki 2007 - will be carried out on Monday, January 26 at 12.00 in the presence of EBU Executive Supervisor Jon Ola Sand. Immediately following the ceremony Dr. Michael Häupl and ORF General Director Dr. Alexander Wrabetz will launch the second-by-second countdown to the first Eurovision Song Contest semi-final show on 19 May. This countdown will be displayed very prominently, at the special countdown tower located at Town Hall Square Rathausplatz (future location of Eurovillage), an eight-foot LED stele, which has been an absolute eye-catcher in the city of Vienna since early January. This event will be followed by the semifinal allocation draw, which is yet another milestone on the way to ESC 2015. 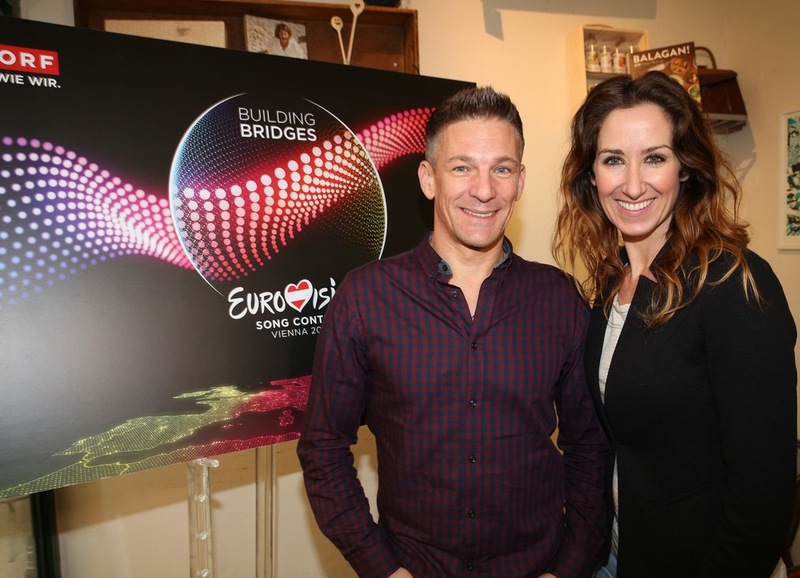 ORF Eurovision commentator Andi Knoll and ESC 2011-2015 Austrian spokesperson Kati Bellowitsch will host lead both the insignia ceremony and the semi-final allocation draw. Since there is 39 countries taking part in the show in May 2015, there will be uneven number of participants of the semifinals. It has been already decided that Semi-Final 1 on 19 May will feature 16 countries, and Semi-Final 2 on 21 May - 17. During the semi-final allocation draw, that will be made on Monday, January 26, at 13.25 at the Town Hall, it will be decided which country performs in which semifinal. The countries have been divided into 5 different pots based on the voting behaviour from the past 5 years as the basis. The exact line-ups of the pots will be revealed by EBU in the next days. Also, it will be decided which of automatic qualifiers (Big 5 and host country) will broadcast and vote in which semifinal. The draw will be broadcasted live on eurovision.tv as well on the "Heute Mittag" program on ORF 2. Additional information is available on our event page. Mobile voting app "A Dal 2015" has been released by Hungarian broadcaster MTVA. Free app is available for phones with Android and iOS systems. It allows users to listen to all the entries competing in the national Hungarian preselection, watch the live broadcast of shows, rewatch performances on demand, have access to exclusive interviews, behind the scenes footage. However, the most important addition is that users of the app will be combined into the 5th member of jury of preselection. You can rate presented entries live during the show on 1-10 scale and also vote for the best of non-qualified entries in the 2nd round of voting. Application uses SMS to submit votes and base SMS rates to Hungary apply. Read more about preselection format "A Dal" on our Hungary page. 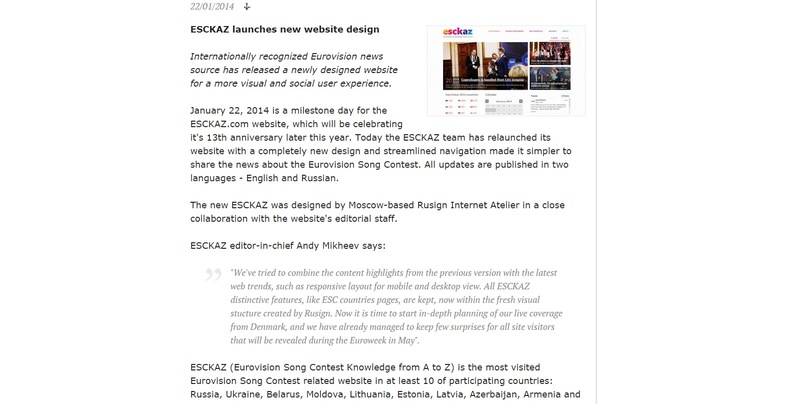 2015 Eurovision season has been launched on ESCKAZ.com, it will be our 14th ESC season to cover. Regular updates on social networks will start early next week. • Стал известен список участников вайлдкард раунда в Германии. • Объявлен состав региональных жюри Dansk Melodi Grand Prix. • Даниел Каймакоски - первый участник, стартовавший промо-тур перед конкурсом. 22.00 - 23.50 Москвы, Израиль: The Next Star, 16е шоу, Keshet, онлайн. Нава Техила Валкер покидает шоу. Запись программы можно увидеть здесь. 22.20 - 01.00 Москвы, Латвия: Supernova, 1й четвертьфинал, LTV 1, онлайн. Антра Стафецка и Framest - выбор жюри, ElektroFolk и MNTHA - выбор телезрителей. Запись шоу можно увидеть здесь. 22.30 - 00.30 Москвы, Кипр: "Eurovision Song Project", Финал, RIK 1, RIK Sat, онлайн, Eurovision.tv. Яннис Караяннис с песней "One Thing I Should Have Done" представит Кипр. Запись шоу можно увидеть здесь или на Eurovision.tv. Рок-дуэт Марта Яндова и Вацлав Ноид Барта представят Чехию с песней "Hope Never Dies". Подробнее о них можно узнать на странице Чехии. 21.40 - 23.40 Москвы, Финляндия: "UMK", превью, YLE2, онлайн. Первая тройка рейтинга превью жюри: Shava, Pertti Kurikan Nimipäivät, Satin Circus. Запись программы вы можете увидеть здесь. 22.00 - 23.40 Москвы, Литва: Nacionalinė atranka, шоу 5, LRT, LRT Lituanica, онлайн. Лиепа Мондейкайте и Неринга Шияудиките покинули шоу. Посмотреть программу снова можно здесь. 22.10 - 00.10 Москвы, Швейцария: "Entscheidungsshow", финал, SRF 1, RTS 2, RSI La 2, онлайн1, онлайн2. 22.25 - 00.30 Москвы, Венгрия: "A Dal", 2й тур, M1, Duna World, онлайн. Адам Сабо, Гергу Улах, Ив, Pankastic!, Гьюла Элиаш Jr. feat. Fourtissimo вышли в следующий раунд по итогам первого голосования. New Level Empire присоединяются к ним по второму голосованию. Посмотреть программу в записи можно здесь. 22.45 - 00.25 Москвы, Исландия: "Söngvakeppnin", полуфинал 1, RÚV, онлайн. Волонтеры Евровидения 2015 создадут собственный хор для участия в шоу "Die große Chance der Chöre" (австрийская версия "Битвы Хоров") на телеканале ORF eins. Шоу будет выходить в эфир с 17го апреля и его ведущим станет комментатор Евровидения, недавний ведущий Церемонии передачи ключей и Жеребьевки полуфиналов конкурса Анди Кнолл. "Я - большая поклонница Евровидения. Также я занимаюсь вокалом с Моникой Баллвейн. И ко мне пришла идея создать хор вместе с моими коллегами - волонтерами. Я была поражена тем количеством талантов, которых нам удалось найти. Вообще, мы изначально искали всего 12 человек - а в итоге нас собралось 41. Мы приехали со всей Европы, чтобы работать на Евровидении в Вене. У нас у всех отличная мотивация, и я с нетерпением жду начала шоу. Мы уже немного прорепетировали вместе, и энергия, исходящая от нашего хора, уже впечатляет"
ORF в последний раз призывает всех желающих, которые еще могут успеть подать свою заявку на позиции волонтеров конкурса. Подробнее об этом можно прочитать на нашей странице организации мероприятия. В завтрашнем выпуске дневника Евровидения "Vienna Calling", выходящего в рамках программы "Wien heute" несколько волонтеров расскажут о том, почему они захотели стать частью организационной команды Евровидения. "Также очень бы хотелось все же надеяться, что, учитывая конструкцию сцены Мелодифестивалена 2015, в этом году практика пения хора за сценой будет сведена к минимуму и бэк-вокалисты будут чаще работать непосредственно на сцене, а не из-за кулис. И это касается не только Мелодифестивалена, но и самого Евровидения - к сожалению, конкурс в Копенгагене в большом объёме перенял этот негативный опыт. Хотя сама Швеция может гордится своими бэк-вокалистами, которых для участия в Евровидении регулярно приглашают многие страны, в том числе Россия и Азербайджан." • Прошла жеребьевка четвертьфиналов латвийской "Supernova", объяснены правила голосования, допускается зарубежное интернет голосование. • Нина Сублатти приняла участие в качестве гостьи в утренней программе GPB, интервью (на грузинском) можно увидеть здесь. • Завершены съемки видеоклипа на песню Испании "Amanecer". • Оглашена схема проведения португальского "Festival da Canção". Артисты из 39 участвующих стран встретятся в Вене в мае 2015. Работая согласно девизу конкурса этого года "Возводя мосты", на прошлой неделе телеканал ORF собрал представителей дипломатических миссий участвующих стран во Дворце Даун-Кински в Вене на посольский завтрак и презентацию им проекта Евровидения. Завтрак посетили ряд дипломатических гостей из свыше чем 30 стран, среди которых были послы Германии - Детлев Рюнгер, Эстонии - Еве Кюлли Кала, Латвии - Эдгарс Скуйя, Литвы - Лорета Закаревичиене, Сан-Марино - Елена Моларони и Кипра - Марио Иеронимидес. Исполнительный продюсер конкурса Эдгар Бём представил собравшимся рассказ о текушей подготовки к конкурсу, а команда в составе Мартина Брезовича, Фольфганга Петерлика и Эмануэля Грасля, партнеров телеканала ORF по организации "Евродеревни", представили проект "Hello Vienna - Welcome Europe" - выставки, в рамках которой себя смогут продемонстрировать все участвующие страны. Мартин Брезович говорит: "Мы с нетерпением ждем возможности пригласить нации Евровидения быть с нами вместе на Ратушной площади и ближе к культурному разнообразию наших гостей из Австри и всего мира в нашей "Евродеревне". На приеме присутствовала команда телепрограммы "Wien heute" и репортаж о нем будет показан сегодня вечером в 21.00 Москвы (смотрите запись здесь). Все больше и больше источников указывают на то, что 60й юбилей конкурса Евровидение будет отмечен в специальном шоу, которое проведет британская телекомпания BBC. Первая информация об этом появилась в октябре, когда бельгийский вебсайт tuner.be сообщил о том, что именно BBC была избрана как телекомпания-организатор специального шоу. Оно должно пройти в Royal Albert Hall в Лондоне, ведущими его станут комментатор конкурса на BBC Грэм Нортон и ведущая Евровидения 2013 Петра Меде. К участию в шоу были приглашены прошлые победители, включая Кончиту Вурст (Австрия 2014), Лорди (Финляндия 2006) и Лорен (Швеция 2012). Однако, Европейский Вещательный Союз отложил объявление официальной информации, заметив: "К нам поступили несколько интересных предложений от телекомпаний для проведения дополнительного юбилейного шоу Евровидения в этом году, помимо конкурса в мае, и они сейчас находятся в последней стадии рассмотрения. Решение по этому вопросу ожидается в ближайшем времени". "Юбилейный аспект Евровидения будет в этом году охвачен шоу телеканала BBC. В нем они ставят задачу взглянуть вновь на историю конкурса. А наша задача, Евровидения в Австрии, смотреть вперед, в будущее"
В то же время, координатор Евровидения Йон Ола Санд был более сдержан в своем комментарии: "Это пока еще не решено окончательно, мы работаем на чем-то, что может быть концертом из Лондона", сказал он. Телеканал BBC также быстро опроверг подтверждение: "На данный момент ничего не подтвержено, и все объявления будут сделаны в должное время", говорится в заявлении. В прошлом январе представитель немецкого телеканала NDR Томас Шрайбер, выступая на конвенции фан-клуба ОГАЕ Германии, отметил, что если юбилейное шоу и состоится, то пройдет оно в Берлине. С тех пор новых объявлений с немецкой стороны по этому вопросу не поступало. Напомним, что в 2005 году ЕВС отметил 50-летний юбилей Евровидения проведением специального шоу "Congratulations", прошедшего в Копенгагене. Оно транслировалось в 34 странах Европы, при этом Великобритания была одной из тех стран, что отказались показывать его. В 2006 году BBC показало собственную программу "Boom Bang A Bang - 50 Years of Eurovision", которую провел Терри Уоган. 12.00 Москвы, Молдова, жеребьевка порядка выступлений в полуфиналах, онлайн. Представлены дизайны и эскизы сцен Melodifestivalen, DMGP, San Remo, Die Große Entscheidungsshow, Eesti Laul, Eurovision Song Project. Официальный авиаперевозчик конкурса Евровидение 2015 Austrian Airlines предлагает специальную скидку. Первые 300 бронирований, сделанных между 29 и 31 января 2015 года на перелеты с 12 по 30 мая 2015 года получат скидку в размере 30 евро при использовании специального купона - кода 30ESC2015. Скидка применяется к бронированию, а не к каждому лицу в бронировании, она действует на любые перелеты в указанные даты в и из Вены, при условии, что аэропорт вылета и возвращения - одинаковы. Забронировать билеты можно здесь. • Шведская команда в лице композитора Томаса Г:сона (аранжировка) и Саши Жан-Баптист (постановка номера, ранее работала с Алексеем Воробьевым) займутся подготовкой к Евровидению представительницы Грузии Нины Сублатти. • Представлена сцена проекта "Supernova" в Латвии. • Подтверждено, что финал румынского отбора пройдет в Крайове. 23.00 Москвы, Израиль: The Next Star, 15е шоу, песни Евровидения, Keshet. Йефи и Ошер покинули шоу. Смотрите запись программы здесь. • Узнайте о том, как проходит подготовка представителей Беларуси Юзари и Маймуны. • Открыто 3е голосование за 9 оставшихся песен в литовском отборе. Сегодня было записано 5е шоу, в котором прозвучит неожиданный дуэт Мии и Эдгараса. • Глава делегации Италии Никола Калиджиоре и бывший глава делегации Франции на Евровидении Брюно Берберес станут приглашенными членами жюри на финале отбора Кипра в это воскресенье. • Можно услышать несколько последних аккордов песни Испании "Amanecer". Съемки видеоклипа начнутся завтра. Новая порция билетов на полуфиналы конкурса Евровидение 2015 поступит в продажу 29го января в 11.00 Москвы, включая также генеральные репетиции к полуфинальным шоу. Как и прежде, продажа билетов будет осуществляться онлайн на сайте oeticket.com. Информация о третьей волне продаж билетов будет опубликована в феврале. Дополнительную информацию о билетах на конкурс вы можете найти на нашей странице организации мероприятия. В церемонии передачи символических ключей приняли участие Софи Хесторп Андерсен, председатель регионального совета Столичного Региона Дании, и Ларс Вейсс, представитель Социал-Демократический партии Дании. Они передали ключи мэру Вены Михаелю Хойплю. Также свои речи на церемонии произнесли Йон Ола Санд и генеральный директор ORF Александр Врабец. Помимо них на церемонии присутствовали заместители мэра Вены Мария Вассилаку и Ренате Браунер, канцлеры Кристиан Оксонич, Сандра Фрауенбергер и Андреас Маилат-Покорны, а также представители городского собрания Вены, и со стороны телеканала ORF телевизионный директор Катрин Зехнер и исполнительный продюсер конкурса Эдгар Бём. Короткий репортаж из программы "Heute Mittag" можно увидеть здесь. Мэр Вены Михаэль Хойпль: "С этой передачей ключей мы официально запускаем Евровидение 2015 в Вене. Мы с гордостью и нетерпением ждем это уникальное мероприятие в столице Австрии, которая имеет большой опыт в планировании и реализации международных мероприятий, таких как Чемпионат Европы по Футболу. Я уверен, что мы сможем сделать Евровидение еще одним крупнейшим мероприятием, прошедшим в Вене, доминантным в Европе, которым будут гордиться все жители Австрии". Генеральный директор ORF Александр Врабец: "373 дня - столько времени у нас оставалось с момента победы Кончиты Вурст в Копенгагене до начала собственного Евровидения 2015. 6252 часа прошло с тех пор, мы уже прошли важные отметки на нашем пути, определение города проведения, презентация слогана "Building Bridges", логотипа, дизайна сцены, что мы думаем, по сравнению с прошлыми годами, нам очень хорошо удалось. Я горжусь тем, что сейчас, когда до первого полуфинала конкурса 19 мая осталось 163 тысячи 200 минут или 9 792 000 секунд, мы идем абсолютно по графику. В это время над организацией крупнейшего в мире телевизионного развлекательного шоу в мире для 200 миллионов телезрителей работает команда ORF из свыше чем 60 человек. Это невероятный опыт". 14.40 Москвы, Eurovision Song Contest - Jetzt geht's los (Начинаем), ORF eins, онлайн, включая документальный фильм "Conchita Wurst - Auf den Schwingen des Phoenix" (На крыльях Феникса), Церемонию передачи ключей и Жеребьевку полуфиналов конкурса в прямом эфире в 15.25 Москвы (также на eurovision.tv). Промо. Также будет прямое включение с церемонии жеребьевки в программе "Heute Mittag" на ORF zwei, и репортаж о сегодняшнем дне Евровидения в "Wien Heute" в 21.00 Москвы. Вы можете посмотреть в записи "Церемонию передачи ключей" здесь и жеребьевку полуфиналов здесь или здесь (с немецким комментарием). Стал известен официальный состав корзин для жеребьевки распределения на полуфиналы конкурса, которая состоится завтра в 15.25 Москвы. Ведущими церемонии станут Анди Кнолл и Кати Беллович. Наблюдать за ее проведением будут координатор конкурса от ЕВС Йон Ола Санд и представитель компании Digame, ответственной за телеголосование, Томас Нидермайер. В первом полуфинале конкурса примут участие 16 стран, а во втором - 17. Завтра будет определено, в каком из полуфиналов выступит та или иная страна, а также в какой половине шоу (начале или конце) она выступит. Корзины для жеребьевки разработаны компанией Digame на основе тенденций голосования стран за последние пять лет. Помимо того, будет определено в каком из полуфиналов будут голосовать страны "Большой пятерки"и Австрия. Однако, заранее уже определено, что Германия проголосует во втором полуфинале конкурса. • Официально представлены песни, принимающие участие в Dansk Melodi Grand Prix, а также превью-видео на них. • Две песни: "Es Tut Mir Nicht Leid" и "Factory hearts" выбыли из литовского отбора. • Открыто голосование в 1м полуфинале акустического варианта конкурса "A Dal" в Венгрии. 22.20 Москвы, Латвия: Supernova, 2е вводное шоу, LTV 1. 23.00 Москвы, Израиль: The Next Star, 14е шоу, Keshet. Асиф Зильберман и Лироз Балас покинули шоу. 22.00 Москвы, Литва: Nacionalinė atranka, 4е шоу, LRT, LRT Lituanica, онлайн. 22.25 Москвы, Венгрия: "A Dal", 1е шоу, M1, Duna World, онлайн. Прямой эфир 23/01: 23.20 Москвы, Кипр: "Eurovision Song Project", Eurochallenges 2, RIK 1, RIK Sat, онлайн. Видеозаписи сегодняшнего шоу можно увидеть здесь. В 14:00 Москвы 26го января Европейский Вещательный Союз откроет систему аккредитаций Eurovision Family Accreditation System (EFAS) для делегаций, прессы и фанатов конкурса Евровидение. Процесс аккредитаций продлится до 18го апреля, 00:59 Москвы. Поданные заявки будут рассматриватся делегацией вашей страны, или Европейским Вещательным Союзом, если вы живете в стране, не принимающей участия в конкурсе. Дополнительная информация о процессе доступна на Eurovision.tv. Цены проживания указаны в евро за номер за ночь. Номера включают ванную или душ. В стоимость также включены завтрак, пользование интернетом и налоги. Телеканал-организатор настоятельно рекомендует всем гостям города использовать его общественный транспорт. Аккредитационные бейджи будут действительны для проезда на любом транспорте в пределах города Вены. С момента прибытия, вы также сможете использовать мобильное приложение, которое поможет вам найти наилучший маршрут. Также, специальные электро-автобусы будут использоваться в виде шаттл-басов Евровидения, и они будут курсировать между центром города, залом проведения шоу Stadthalle (в часы его работы) и Евроклубом (вечером). На сайте бронирования отелей также можно заказать трансфер с аэропорта. Подробнее об общественном транспорте Вены вы можете прочитать на нашей странице организации мероприятия. Телекомпания организатор вместе с Wien Tourismus также организовывает ряд бесплатных мероприятий и экскурсий. Возможность составить собственную программу развлечений в Вене станет доступна с 15го февраля. Подробнее вы можете узнать на сайте телеканала ORF. Церемония передачи ключей и жеребьевка распределения на полуфиналы станет лишь началом сезона Евровидения 2015 для ведущих телеканала ORF Анди Кнолла и Кати Беллович. Сегодня было подтверждено, что опытные ведущие канала также проведут и официальную церемонию открытия шоу, которая пройдет в Городской Ратуше 17го мая. Отрывки из нее будут транслироваться на ORF eins. Это станет началом переполненной событиями Евронедели. Анди Кнолл станет ведущим из студии в Wiener Stadthalle программы "ESC Live", которая будет выходить в эфир каждый вечер с 18 мая в 20:15 на телеканале ORF eins, а Беллович будет репортером в этой специальной 45-минутной программе, и побывает на таких интересных точках конкурса, как Евроклуб и Евродеревня. Беллович также проведет половину, примерно 40 пресс-конференций, запланированных в Wiener Stadthalle, как индивидуальные пресс-конференции стран, так и пресс-конференцию победителя конкурса. В день финала-же, они вновь займутся уже привычной для себя работой: Беллович огласит результаты голосования на конкурсе Австрии, а Кнолл будет комментировать шоу в прямом эфире ORF eins. Кнолл, комментирующий шоу каждый год с 1999 года (кроме 2009 и 2010 годов) будет также работать на полуфиналах конкурса. "Кати Беллович и Анди Кнолл будут использоваться нами постоянно, потому что они - настоящие профессионалы Евровидения. Вся команда ведущих в этом году состоит из сильных духом мужчин и женщин, с разным происхождением и умениями. Они представляют собой ту картинку Австрии, которую мы бы хотели продемонстрировать всему миру"
Лиза Анжелл представит Францию на Евровидении 2015 с композицией "N'oubliez pas". Ее автором стал Роберт Гольдман, автор песни Франции на Евровидении 2001 и брат знаменитого Жан Жака Гольдмана. Песня впервые прозвучала на концерте в ля Мадлен в ноябре в дни памяти жертв Первой Мировой Войны, однако, певица подчеркнула, что она относится не только к данному конкретному событию в мировой истории, но и вообще к любым видам конфликтов. Часть ее текста звучит так: "Я помню улыбки детей, голоса мужчин, выходящих на поля, фестивали урожая, запах в домах, любовь и смех. Но я здесь, не забывайте.". "Эта песня рассказывает о женщине, пораженной и тронутой до глубины души, видя разрушение ее родной деревни во время войны. А вторая часть показывает сильную женщину, которая обещает восстановить свою деревню. Я очень рада возможности спеть эту песню и передать ее посыл"
Своим мощным вокалом, она смогла убедить продюсера Жана-Клода Камю предложить песню телеканалу France 2. Услышать композицию вы можете здесь. Узнать больше о представительнице Франции Лизе Анжелл вы можете на странице Франции. • Презентованы песни, принимающие участие в исландском национальном отборе "Söngvakeppnin 2015". • Румынский вещатель TVR опубликовал официальные правила национального отбора "Selecţia Naţională Eurovision 2015". Прием заявок начнется в понедельник. Бюро по туризму Вены инвестирует 14.8 миллионов евро в продвижение информации о столице Австрии с использованием информации о Евровидении в 20 странах - 11 европейских (немецкоговорящие страны, Россия, Италия, Великобритания, Франция, Румыния, Польша, Турция, Нидерланды, Чехия и Венгрия) и 9 зарубежных (США, Канада, Австралия, Япония, Китай, Южная Корея, арабские страны Азии, Индия и Бразилия). По словам директора по туризму Норберта Кеттнера, эти страны в прошлом году сгенерировали 80.4% зарубежных посетителей в Вене в прошлом году. Стратегическим партнером в этом проекте станет компания Austrian Airlines, которая действует на 15 из данных рынков. Совместный бюджет проекта составляет 4.26 миллионов евро, в которых 57% вклада внесет авиакомпания - официальный перевозчик конкурса Евровидение 2015. Одним из крупнейших проектов этой кампании будут выступления победительницы Евровидения 2014 Кончиты Вурст в т.н. "ViennaSphere" - гигантском шаре диаметром в 22 метра, который отправится в турне по Европе в марте и апреле, и остановится на 3 дня в Лондоне, Барселоне, Париже, Милане и Берлине. Для цели демонстрации в шаре было разработано специальные видео-шоу с 360 градусной съемкой и впечатляющими 3D эффектами. В дневное же время, гигантский шар будет являться источником информации о Вене, а также интерактивным презентационным экраном. Для журналистов и представителей индустрии туризма в ViennaSphere вечером перед открытием для широкой публики будут организованы VIP вечера, где и выступит Вурст. Бюро по туризму Вены также разрабатывает всеобъемлющую маркетинговую кампанию для раскрутки Вены, как туристического направления, среди аккредитованных журналистов и делегаций стран, принимающих участие в конкурсе. Кроме того, еще 70 журналистов из крупнейшей прессы 20 стран, а также 40 лиц, влиятельных в индустрии туризма, будут приглашены посетить Вену, смогут принять участие в экскурсии по Городской Ратуше, принять участие в культурной и кулинарной программе и побывать на финале Евровидения. Крупнейшей "рекламной площадкой" Вены станет крыша Сиднейской Оперы. Симфонический оркестр Сиднея даст выступление с "Лучшими хитами Вены", которое будут включать в себя проекцию на знаменитую крышу оперного зала в виде паруса. Будут организованы площадки для массового просмотра концерта и VIP мероприятие для журналистов и представителей индустрии туризма. Мероприятие также будет транслироваться онлайн 2го апреля в 11.50 Москвы. Несмотря на довольно скромный успех проекта "Eurovision School Contest" в Мальме и Копенгагене (прочитать о нем вы можете здесь) австрийский вещатель ORF запустил его полный аналог под названием "Eurovision Youth Contest" в Вене. Благодаря участию в этом проекте до 8000 школьников смогут посетить дневную репетицию 2го полуфинала конкурса Евровидение. Организаторами проекта являются региональные студии телеканала ORF при сотрудничестве транспортной компании ÖBB и районных департаментов образования. Целые классы или группы учеников приглашаются к созданию творческих проектов, которые бы имели связь с конкурсом Евровидение и его слоганом "Возводя мосты". Ограничений полету мысли нет никаких - это может быть текстовая презентация, рисунок, видео или музыкальная работа на любую тему, при одном лишь условии - сохранения связи проекта с Евровидением. Победители будут определены решением жюри или онлайн голосованием. Индивидуальные результаты всех федеральных земель Австрии будут оглашены на самой сцене Евровидения перед началом дневного шоу 20го мая. Информацию с условиями участия в каждой из областей Австрии можно найти здесь. Принимать участие в проекте могут все молодые люди от 10 до 16 лет, посещающие среднюю школу (до 6го класса). Участие разрешается группами от 10 школьников. У каждой федеральной земли в правилах есть свои собственные ньюансы и условия. Прием заявок осуществляется онлайн до 15го марта. Важно: Оформлять заявку должен только руководитель проекта или учитель. Победившие группы, благодаря транспортной компании ÖBB, смогут бесплатно доехать по железной дороге до Вены. В зависимости от района, они начнут свою поездку утром 20го мая и вернутся домой вечером. Сопровождать группы молодых людей могут до 4х взрослых или учителей, которые также смогут вместе с ними бесплатно понаблюдать за репетицией Евровидения. Победители - авторы самых интересных и оригинальных проектов - будут определены решением жюри или онлайн-голосованием не позднее 15 апреля. В зависимости от размера федеральной земли, в каждой из них будут отобраны для поездки от 500 до 1500 школьников. В этом году в формат шведского отбора Melodifestivalen уже были внесены несколько изменений, и недавно стало известно о еще одном из их числа. Теперь, песни, попавшие в шоу "Второй шанс" можно будет ротировать на радиостанциях сразу после окончания полуфинала, в котором они принимали участие. "Мы хотим сделать "Второй шанс" более успешной и интересной программой, и создать наилучшие условия для песен, чтобы они могли стать классикой и жить в памяти слушателей как можно дольше", говорит несменяемый продюсер шоу Кристер Бьоркман. Песни, напрямую выходящие в финал конкурса, как и в прошлые годы, можно будет ротировать только после окончания 4го полуфинала шоу, и Кристер считает, что это сделает финал более интересным и конкурентным. "Восемь песен, вышедшие напрямую в финал, и так являются абсолютными фаворитами зрителей, за которые уже проголосовали. Когда они будут выпущены, весь интерес сфокусируется на них, так было всегда, и наше новое правило ничего в этом не изменит. Однако, мы хотим привлечь максимальный интерес и к другим участвующим композициям. Как это все отразится на результате финала, пока предугадать сложно, но, по крайней мере, это сделает его более захватывающим"
К шоу "Второй шанс" в этом году применяются и другие новые правила. Как обычно, в него попадают композиции, занявшие в своих полуфиналах 3 и 4 места. Во "Втором шансе" они встретятся в 4х дуэлях и победитель каждой из дуэлей сразу выйдет в финал. Таким образом, в финале шоу этого года будет 12 песен, в отличие от 10 в предыдущие годы. Состав дуэлей по прежнему будет основываться на правиле, что песня, занявшая 3е место в одном из полуфиналов, встретится с песней, занявшей 4е место в другом полуфинале, но окончательный их порядок будет определен оргкомитетом фестиваля уже тогда, когда все эти песни станут известны. Подробнее о формате шоу "Melodifestivalen" вы можете прочитать на странице Швеции. Церемония передачи символических ключей Евровидения и Жеребьевка распределения по полуфинала конкурса пройдет 26го января в Городской Ратуше (Rathus) Вены. В Вене готовится к проведению первое официальное мероприятие конкурса Евровидение 2015. Делегация из столицы Евровидения 2014 Копенгагена прибудет в Австрию для того, чтобы вручить мэру Вены Михаелю Хойплю символические ключи от конкурса Евровидение и официально сделать Вену новым городом проведения конкурса. Бывшие же хозяева шоу до сих пор разбираются в поиске причин и виновных в том, что конкурс обошелся им в разы больше запланированного, что недавно стоило своего места руководителю туристической организации Wonderful Copenhagen Ларсу Бернхарду Йоргенсену. Мэр Копенгагена Франк Йенсен назвал весь процесс организации конкурса Евровидение в его городе "достойным сожаления" и, вероятно, будет рад, наконец-то избавиться от последней своей обязанности в статусе хозяина конкурса. Церемония передачи связки символических ключей от городов-организаторов конкурсов прошлых лет, начиная с Хельсинки 2007, состоится в понедельник, 26 января, в 14.00 Москвы, в присутствии представителя от Европейского Вещательного Союза Йона Олы Санда. Сразу же по ее окончанию Михаель Хойпль и генеральный директор телеканала ORF Александр Врабец запустят посекундный отсчет времени, остающегося до 1го полуфинала Евровидения 19го мая. Часы с этим отсчетом расположатся на специальной 8 метровой стелле на Ратушной площади Rathausplatz (где в мае разместится Евродеревня), которая украшает собой центр Вены с начала января. За этим последует церемония распределения полуфиналов конкурса, еще один важный шаг на пути организации конкурса 2015 года. Комментатор Евровидения на телеканале ORF Анди Кнолл и глашатай Австрии на конкурсах 2011-2015 Кати Белович станут ведущими как церемонии передачи ключей, так и жеребьевки полуфиналов конкурса. Поскольку в Евровидении 2015 примут участие 39 стран, то их число в полуфиналах конкурса будет неравным. Уже было определено, что в 1м полуфинале 19го мая выступят 16 стран, а во 2м, 21го мая, 17. Во время жеребьевки распределения полуфиналов конкурса, которая пройдет в понедельник, 26 января, в 15.25 Москвы в Городской Ратуше, будет решено, в каком из полуфиналов выступит та или иная участвующая страна. Все страны, как обычно, будут разделены на 5 корзин в зависимости от тенденций голосования за последние 5 лет, чтобы не дать большой группе регулярно поддерживаюших друг друга стран оказаться в одном полуфинале конкурса. Состав корзин будет объявлен ЕВС в ближайшие дни. Также, будет определено, в каком из полуфиналов проголосуют автоматические финалисты (страны большой пятерки и страна-организатор). Жеребьевка будет транслироваться в прямом эфире на сайте eurovision.tv, а также в рамках программы "Heute Mittag" на телеканале ORF 2. Дополнительную информацию можно найти на нашей странице организации конкурса. Венгерская телекомпания MTVA выпустила мобильное приложение для голосования "A Dal 2015". Бесплатное приложение доступно для телефонов с системами Android и iOS. Оно позволяет пользователям услышать все участвующие песни, смотреть прямые эфиры отборочных шоу или пересматривать выступления в записи, а также получить доступ к эксклюзивным интервью и закулисным кадрам. Однако, наиболее важным дополнением в этом приложении является то, что его пользователи станут 5м членом жюри отбора. Они смогут оценить по 10 балльной системе участвующие песни, а также проголосовать за лучшую из невышедших песен во втором раунде голосования. Приложение использует СМС для подачи голосов, и потому применяются обычные расценки на СМС до Венгрии. Подробнее о формате отбора "A Dal" вы можете прочитать на нашей странице Венгрии. Сезон Евровидения 2015 запущен на ESCKAZ.com. Это будет 14м сезоном работы нашего вебсайта. Регулярные обновления в социальных сетях будут доступны с начала предстоящей недели.